That means shortcuts for layer and brush settings, controls for zoom levels and the panes you see on screen, open up new images, pick colors, and more. Pro users are probably still going to gravitate towards keyboard shortcuts, but the Touch Bar can prove useful. If you’re a Final Cut Pro user, just a few of the shortcuts offered up by the Touch Bar cover the likes of video information, scene trimming, volume adjustments, timeline scrubbing, text manipulation, color picking, clip placement, zoom levels, and tool selection. BetterTouchTool goes one step further than merely supporting the Touch Bar on macOS by letting you customize the shortcuts on your own custom Touch Bar strip. It can include keyboard and mouse shortcuts, widgets, app launch icons and plenty more. 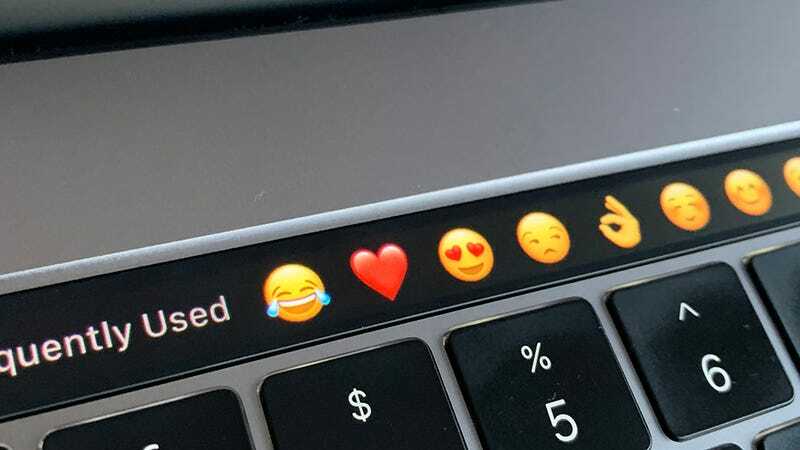 You can create separate Touch Bar panels for specific apps and for macOS as a whole, and Lifehacker has written more about the configuration process here. The app will set you back $7.50 for a two-year license, but you can try it for free for 45 days to see if you like it.